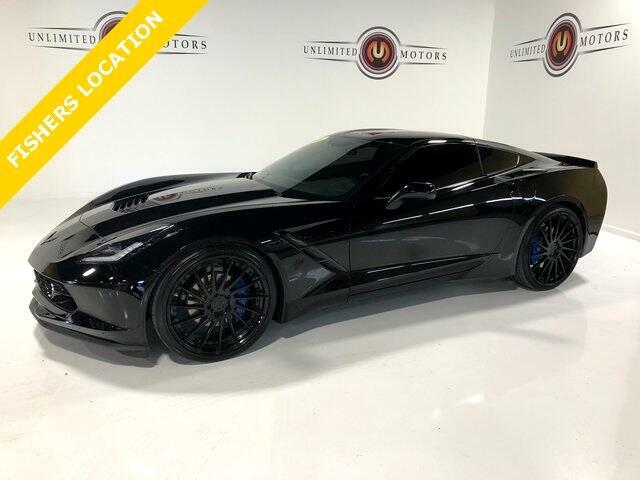 Back Up Camera, Corvette Stingray 1LT, 2D Coupe, RWD, 8-Way Driver & Passenger Seat Adjusters, Black Indoor Vehicle Cover w/Stingray Logo (LPO), Body Color Wing Spoiler (LPO), Body-Color Painted Exterior Vents, Bose Premium 9-Speaker Audio System Feature, Carbon Flash Badge Package, GT Bucket Seats, High-Intensity Discharge Headlights, Mulan Perforated Leather Seating Surfaces, Preferred Equipment Group 1LT, Sport steering wheel, Stingray Exterior Appearance Package (LPO), Underhood Liner w/Stingray Logo (LPO), Wheels: 19" x 8.5" Fr & 20" x 10" Rr Black Alum.. Clean CARFAX. 16/29 City/Highway MPG Odometer is 3857 miles below market average! Priced below KBB Fair Purchase Price!